Imaging the subsurface has become more and more complex. If we want to get a state-of-the-art image we might consider a slanted multi-component streamer acquisition and process it with a full waveform inversion to finish it off with a nice pre-stack Gaussian beam migration. Yeah… Even as a geophysics master student this is some tough stuff. And possibly some have not even heard of most of this. And last but not least probably no one has worked with this kind of technology yet. Today I want to look further into the data acquisition side of seismics and in specific, we’ll have a look at multi-component marine data. In the introduction to streamer I already told you about a new development of streamers, the solid state streamer that has the potential to take seismic data acquisition to the next level. Just imagine how it is to just record pressure, a scalar quantity that has some pretty serious limitations and then be able to move on to a system that can actually differentiate the particle motion of a pressure wave in water. To me it feels a little surreal. With this technology you’re able to tell if the pressure probe is recording a variation in pressure from an upgoing, or downgoing wave or you can even have a look if it’s a signal from some side. In seismics we have a phenomenon called the ghost. You can catch up on the seismic ghost this blog post [Link]. But let me just excite this little thought experiment here: If a seismic signal reflected from the subsurface travels back up to the streamer, what holds the wave back from traveling past the streamer and once again get reflected at the sea surface? In case you know anything, geophysicists might pay you some serious cash for this. The seismic ghost is what comes back down, reflected from the sea surface. It has some nasty effects on our seismic data. With this new multi-component system we can actually take a look at our seismic image and tell the difference between signals coming from the top and signals coming from the bottom. Which means we can tell if a seismic signal is our wanted signal or the ghost. This additional information will also enable us to some more tricks with the data. More information isn’t necessarily a bad thing. You might have guessed that this technology is quite a big thing in the industry at the moment. PGS were the first to introduce a GeoStreamer system which could record the particle velocity as a component of their data. This was already in 2007. 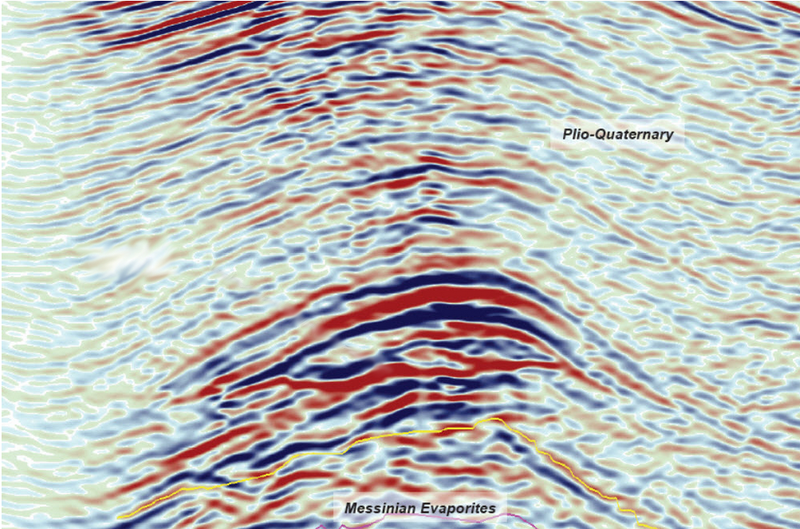 In 2012 Schlumberger with Western Geco followed suit with the Isometrix technology. This year in 2013 CGG unveiled their new Sentinel MS technology offered by Sercel. Three of the biggest seismic companies started to take a significant investment to upgrade to a multi-component marine streamer technology. There must be something nice about this stuff.We’re talking about an investment that could have possibly ruined a company, even if they’re as big as these three. As a company you have to keep up with the others of course. And this technology has some serious advantages. Not only will you have less noise and therefore stronger signals in your data. You can also finally hold the streamer steady enough to get said multi-component data. This data is a whole different story in seismics. Not only can we measure the directionality of our wave field. We can use this to get rid of the ghost to improve our data significantly. We can divide the primary wave fields and multiple, like Schlumberger has started. And last but not least, multi-component data will help us with de-aliasing our data. This can pave the way to entirely different applications in seismics. When we can use multi-component data to avoid aliasing of our data, we can even use it to reduce the load of data we have to record to get a decent image. We’re talking about terra- to petabyte in seismic data. This so-called compressed sensing is a whole different story and is material for an entirely different blog post. But it’s possible! 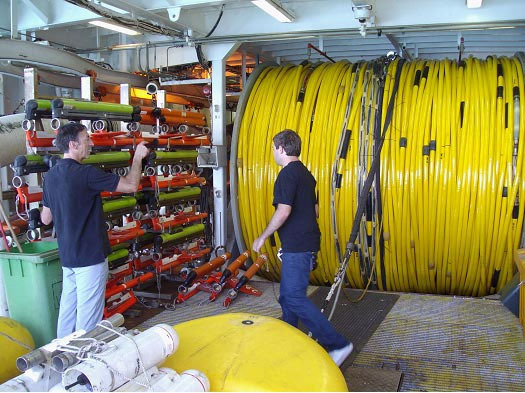 Essentially, investing in multi-component streamer technology was the next step in seismic data acquisition. In this business you have to stay at the bleeding edge of technology, so this decision wasn’t entirely optional. Have you worked with multi-component data yet? What’s your experience? Posted in Earth Science, Hardware and tagged seismic, seismic acquisition.